The Atima AY2000i is a compact generator designed to deliver all the power you need for recreational and work purposes. It delivers clean energy thanks to its inverter technology, and it is perfect for those looking to power up sensitive devices or appliances. A robust yet accessible design blends industrial-grade durability with ergonomic details that enhance transportation. The generator is not only attractive, but it is also incredibly practical. It runs on unleaded gasoline and provides a surprising run time for such a compact unit. High-end components make the difference between this machine and other similar generators, delivering all you could wish from a best in the class pick. Most users described the Atima AY2000i as the perfect power generator for an RV, although it also makes a great choice as a home office backup system. If you’d like to find out more about this unit, read our Atima AY2000i 2000W review. Check out its features, pros, and cons, so you can decide whether or not this is the right generator for you. There are many 2000 watts generators out there, but what makes the Atima AY2000i stand out is its engine coming from one of the most popular brands in the world. Yamaha is famous for manufacturing reliable engines, and things are no different when it comes to the AY2000i. This generator features a single cylinder 4-stroke Yamaha engine defined by the industry experts as one of the tops in line. Praised for its high performance and low maintenance requirements, the engine promises durability and dependability over the years to come. This inverter generator runs on gasoline and comes equipped with a recoil start that is easy to operate even in lower temperatures. Besides the fast start, the unit also has a smart throttle designed to adjust the speed’s engine to match the required load, enhancing fuel efficiency, as well as the run time. 12 volts/8 amps DC output. 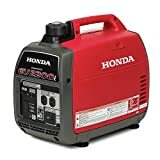 At this rating, the generator won’t be able to support all appliances in your home, but it is perfect for powering your recreational activities or sensitive devices. 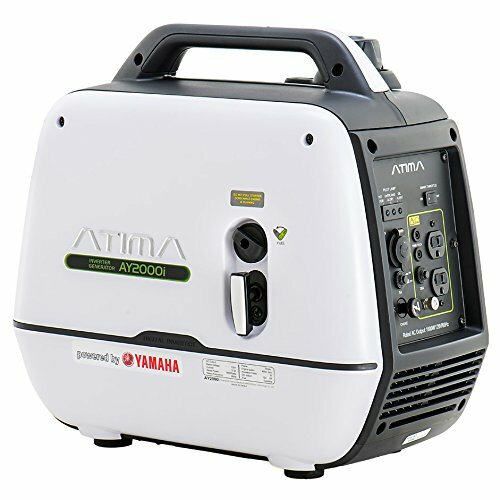 Unlike most gasoline generators, the Atima AY2000i features an advanced inverter technology as well as pulse width modulation; two technologies developed to protect and control circuits, delivering clean energy to your laptop, mobile devices, smart TV and other sensitive electronics. One of the first things you should check before buying a generator is the supported load and number of outlets on the unit. It is crucial to get a unit with sufficient receptacles to power up multiple appliances at once. At first glance, the AY2000i model doesn’t have a host of receptacles. Considering its size though, the unit comes with plenty of outlets. You can use it to power up two devices or appliances and even recharge 12V batteries. While this could seem restrictive, it’s more than enough to prevent overloading the generator. You will still have enough room to plug in a camping mini fridge and a laptop or stereo. Furthermore, you’ll be able to recharge your vehicle’s battery if needed. If the power or number of outlets are insufficient, know you can expand the unit’s capacity thanks to its parallel-ready capability. Parallel capability means you can connect two Atima generators in parallel to boost power and get more outlets. The AY2000i model is compatible with the same model of generators as well as its bigger brother, the AY3000i generator. To protect your electronics and expand the unit’s lifespan, Atima also equipped this generator with a circuit breaker and overload break. 8 hours of runtime at half load. All this is possible thanks to Yamaha’s exceptional fuel efficiency that makes a gallon of gasoline last for quite some time. Here, it also comes into play the smart throttle system that modulates fuel consumption based on the applied load. Undoubtedly, with such a long runtime, it’s easy to power up a device or two during an outage or some appliances during your camping weekend. Refueling is also easy thanks to the large tank opening located on top of the generator. Small but constructed with long-lasting materials, the Atima AY2000i boasts a quality build developed to withstand moderate as well as heavier duty use. The exterior presents sleek lines that inspire robustness and quality. A white and black case protects the internal components, including the engine, which are easily accessible by removing the side panels. To ensure speedy maintenance and service of their product, Atima equipped this generator with a convenient toolkit comprising all tools you need to perform regular duties. These tools come in a sleek storage pouch designed for easier transport and storage. A nice tool that sadly is not included in the box is Atima’s signature magnetic oil dipstick developed to clean the oil from any metal fragments that could damage the engine. You must also know the unit comes without oil in the tank, but luckily though, the manufacturer includes in the pack a small bottle of oil so you can get it started straight out of the box. Designed specifically for recreational activities but perfect for multiple other purposes, this generator has a fairly lightweight and ergonomic design. It has a nice heft of around 50 pounds and a convenient carrying handle. The aluminum alloy body was specifically designed to keep weight to a minimum, and you will also like the balanced center of gravity that makes it easy to carry the unit around the camping site with just one hand. AY2000i doesn’t have wheels, so it could be harder to transport by seniors or people who have arthritis. Despite this minor flaw though, it comes with rubberized feet that provide incredible stability on most surfaces. The Atima AY2000i was born as a recreational generator. Therefore it makes sense to wonder how loud it runs. Will you be able to sleep near the running unit or will your camping neighbors kill you for having brought this machine with you? Luckily for you, the AY2000i is remarkably quiet. Its manufacturer measured the noise level at quarter load and at 23 feet; at this load and distance, the unit outputs as little as 52 decibels. Compared to typical household appliances, the unit is quieter than a refrigerator. In other words, it shouldn’t disturb you nor your camping neighbors, and the unit is also a great choice for tailgating and other activities where you don’t want to disturb others. It’s also easy to understand though that the generator is louder when running at higher load as well as when it’s placed closer to you. In broad terms, it should never become louder than a vacuum cleaner, but such a noise level is typically enough to disturb people, and it can even provoke hearing damage if you’re exposed for a long time. An easy way to reduce the noise level of this unit is by activating the smart throttle system. Atima is not one of the big names that come to mind when buying a generator. The manufacturer is based in China, and due to this reason, many consumers are reluctant when it comes to actually buing one of their products. Nevertheless, Atima can easily be synonymous with innovation. 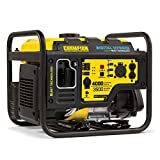 Their generators are simply outstanding in terms of quality, and some of the best inverter generators you can buy for recreational or light business use. The brand proposes two lines of products, the SD series thought as a collection of affordable yet high quality generators designed for camping, RVs, and other recreational activities, and the AY series, the higher-end line designed for utmost precision and quality. Generators in both classes are parallel-ready and compatible between them. It is even possible to connect an SD generator with an AY one without problems. Another nice feature is the low level of emissions. Atima generators are CARB compliant and can be used in all states without issues. All in all, the brand has a great reputation; the only negative trait is the cost of their products, which is in line with the offered quality though. Most foreign brands are known for their poor aftersales support and sketchy warranties. This is not Atima’s case. The AY2000i, together with all the other Atima products sold on international marketplaces, benefits from efficient aftersales support and comes with solid warranties. In our specific case, the AY2000i comes with a three-year residential warranty for engine and inverter, while the rest of the components are covered by a two-year warranty. In the case of professional or commercial use, the warranty drops to 300 hours and a maximum of 12 months. A nice thing is the 30-day money-back guarantee that allows you to return the product if you’re not satisfied by its performance. If you need any type of help after you’ve bought the unit, know that Atima has a US-based aftersales support service easily reachable by phone or email. You can contact them for diagnosis and inspection of malfunctioning units, or to schedule a repair. Replacement parts are also readily available either on the manufacturer’s website or from authorized retailers. Power generators are typically expensive, but this is hardly an excuse to justify this unit’s price. The quality of its build and components pays off though. The Atima AY2000i might be costly, but it’s still cheaper than other similar units. 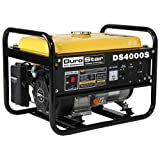 This hasn’t stopped criticism regarding its price compared to other lower-priced generators that have similar features. When compared to most low- and mid-range products though, this generator stands out thanks to its incredible surge power, reliability, and durability. The Atima AY2000i enjoys an overall positive consensus from its users. Most consumers praised the exceptional quality of this generator. While many expressed their fears regarding the brand and its reliability, most people declared themselves satisfied with the unit’s performance. The rather low level of noise has been one of the most appreciated features. Indeed, it is hard to find a generator that runs quietly and lets you sleep even in the wilds. Run this generator at 25% load, and you’ll be able to enjoy smooth sleep. Its portability has also been appreciated. The unit may not come with a mobility kit, but it is lightweight and balanced enough to carry with ease. Another positive opinion regards the build quality and overall performance, as well as the extended run time. Criticism regards the higher-than-average price, which many feel unjustified for a Chinese product. Despite this stigma though, the AY2000i is truly powerful thanks to its dependable Yamaha engine and delivers all you could wish from a top pick. Some people also complained about a lack of power. However, this issue has often been associated with poor maintenance. A convenient toolkit and comprehensive user manual can easily help you troubleshoot the unit if needed. Yamaha engine: this power generator comes with a reliable Yamaha engine built with fuel efficiency and longevity in mind. Dual technology: the AY2000i use both the inverter and pulse width modulation technology to protect sensitive electronics. Long run time: you can keep it running for up to 8 hours at half load, quite some time considering the product’s specifications. Safety: this unit comes with a circuit breaker and overload protection developed to increase your safety and the unit’s lifespan. Toolkit: for easy maintenance, the manufacturer delivers the unit together with a convenient toolkit. Smart throttle: reduces the fuel consumption by adjusting it to the applied load, and also reduces the noise level of the unit. Ease of use: perfect for experienced users as well as beginners, this gasoline generator is very easy to use thanks to the intuitive controls. Price: this generator is quite expensive when comparing it to similar units on the market. Maintenance: although the maintenance process is fairly straightforward, it is still lengthy and boring. Outlets: some users feel this generator could come with more receptacles and at least one 5-volt USB outlets. 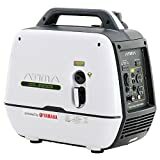 It is made in China, but if you set aside the prejudice and judge the Atima AY2000i for what it’s worth, you’ll notice this is one of the best mini generators on the market. It won’t power up your entire home, but it’s great for recreational use and light business purposes. Combining two innovative technologies, this generator is ideal for powering up your sensitive electronics either at home or on the go. You will also like the reliability of its Yamaha engine, as well as the low level of noise. This generator runs smoothly in all circumstances and impresses with a really long run time given the size of its fuel tank. The quality construction provides robustness, while the delicate components are protected inside the lightweight aluminum case. You might not like the price. In fact, the generator is quite expensive considering its size. Nevertheless, the quality pays off in the long run. Users have not yet complained about the unit’s performance, and the only ones who had issues didn’t conduct the necessary maintenance. All in all, the Atima AY2000i is an exceptional RV generator to use as backup power for sensitive appliances at home or as a main source of electricity when exploring the outdoors. It might have its flaws, just like anything else, but its advantages undoubtedly counterweight the minor drawbacks. We truly recommend it!